As posted by the developer u/laTerreur25 on Reddit, a jailbreak remover tool named as R3c0ver supporting iOS 11-11.4.1 is in the pipeline and will be launched by the developer soon. 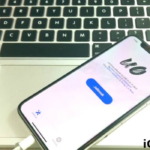 The developer hopes to resolve the bootloop issue with R3c0ver which iOS users are facing when switching from Electra Jailbreak to UnC0ver Jailbreak. Though UnC0ver Jailbreak runs Rollectra to remove Electra Jailbreak and traces of it from an iOS device; the rollback doesn’t runs well on any iOS device running on iOS version lower than iOS 11.3 as these devices are not supported by Rollectra currently. 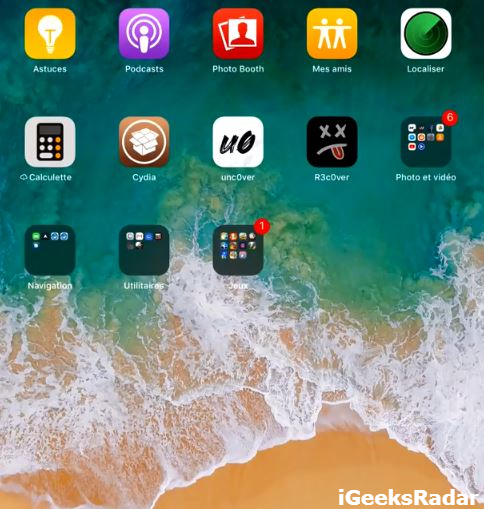 Unjailbreak your iPhone running on iOS 11-11.4.1 with R3c0ver Unjailbreak Tool. Hence, R3c0ver comes into the scene as an extremely helpful jailbreak remover tool for iOS devices running on iOS 11-11.4.1. So, in case Rollectra is not working for you, you can wait for the developer to release R3c0ver and later switch to UnC0ver Jailbreak by removing the existing Electra Jailbreak with the aid of R3c0ver. R3c0ver Unjailbreak Tool for iOS 11-11.4.1 – How it Works? The process of working for R3c0ver Jailbreak Remover Tool will be extremely simple. 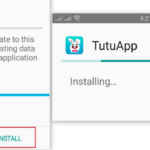 All you require doing is that as and when the tool is released, just install it on your compatible iPhone/iPad. 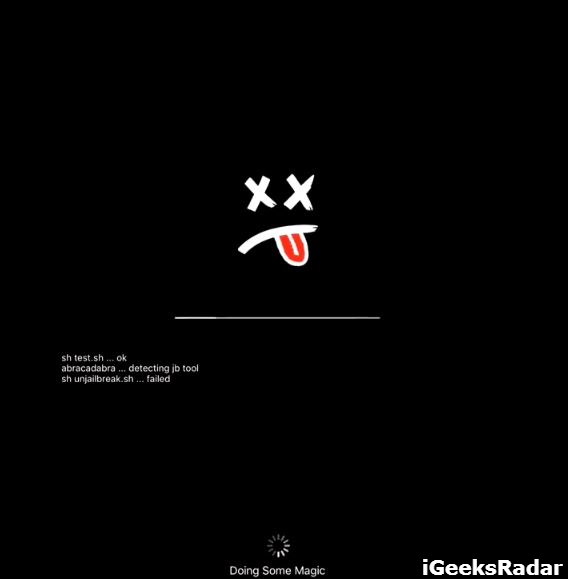 According to the developer R3c0ver will be able to perform a Full Restore, Semi Restore and even fix Cydia errors. Once you install the tool, you will be able to locate its icon on the home screen of your iOS device as shown in the following screenshot. Launch the tool and you will witness an ‘Unjailbreak‘ button along with three options of Full Restore, Semi Restore and Fix Cydia Errors below. You can choose accordingly. 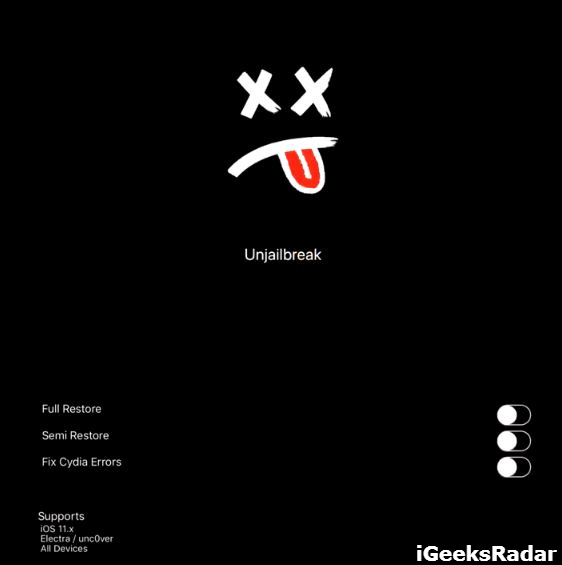 If you wish to switch to UnC0ver Jailbreak from Electra Jailbreak then it is obvious that you require choosing the option of Full Restore. Next, tap on the Unjailbreak button and the R3c0ver tool will do the rest for you. 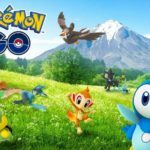 The developer hasn’t specified any date as of now but he is working vigorously on the same and expects to release the same soon. Moreover, according to the developer, he has no plans to host the tool on a repo. iOS users will be able to download the same directly from his GitHub page. 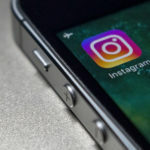 If you are facing issues in removing Electra Jailbreak from your device or any jailbreak whatsoever, keep on visiting our page as we will immediately post an update once this Unjailbreak Tool is released. Ian Beer Released Kernel Info & UaF bugs for iOS 11.4-11.4.1 (Jailbreak).